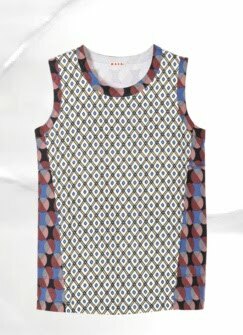 This Marni sleeveless tee perfectly mixes prints for you! I think it would look amazing paired with some denim or perhaps a flowy white maxi skirt and platform sandals. Buy at Marni for $320.